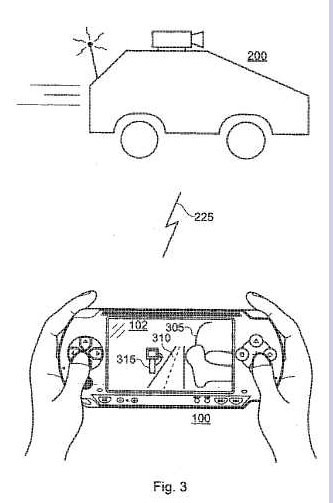 A patent filed by Sony Computer Entertainment Europe details an invention where the PSP could be used to operate a remote car with a camera. Here is a rough look at the car’s schematics. 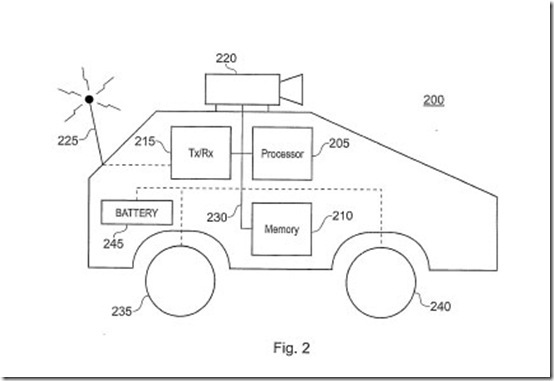 What you can’t see is Sony plans to give the car a speaker and/or microphone. The speaker can be used to play music or reproduce the sound of a particular car like a Ferrari or with editing, perhaps, the Mach 5. Sound effects like engine noises may be preloaded in the car’s memory.  The car can also be used for a racing game within “augmented reality zones”. 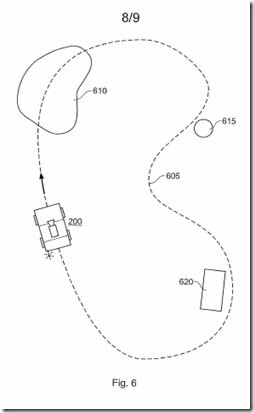 These are explained as areas with virtual markers and paths that players physically create. Think of it as a build your own race track video game. When you’re inside an augmented reality zone the car moves. Leave the zone and the car freezes so you don’t drive it down a staircase, for example. 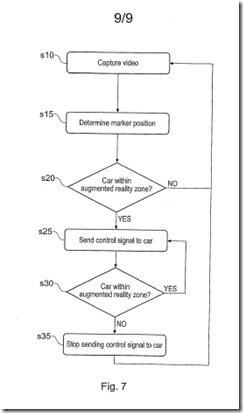 The patent proposes the augmented reality areas may show the real environment or replace objects with computer generated images. In other words the car can take your sofa and translate it into say, an alien mother ship.